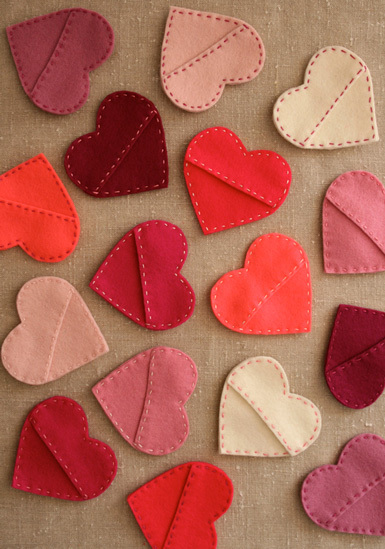 Valentine's Day is one week from today, so if you're thinking about making some Valentine crafts for family, friends or the love of your life, here are some fun and easy (well, for the most part) DIY projects to show your love in a creative way! This round-up includes some cute ideas for kids and grown-ups :) Which one do you love? I'm totally doing #5! 1. 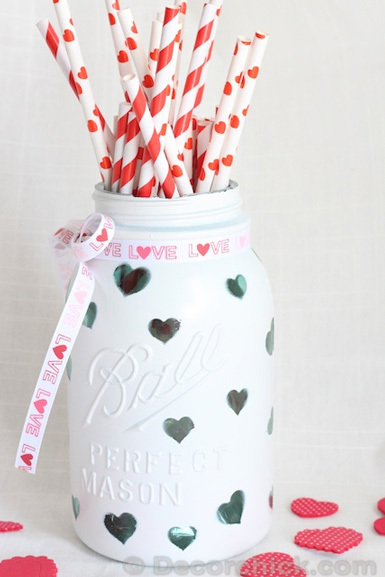 DIY Heart Mason Jar - This super easy DIY craft is such a great idea! Change things up and customize the design with pink or red paint and different sized hearts or letters. 2. 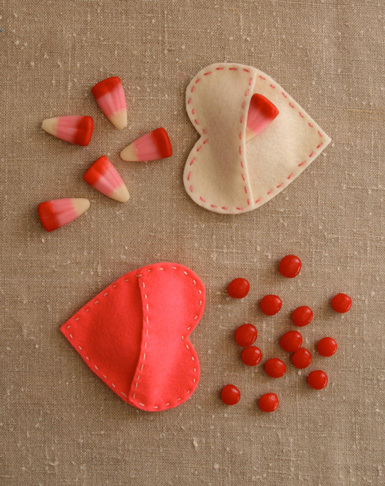 Felt Candy Hearts - If you can sew, this is a simple and inexpensive little craft to share your love with co-workers, your kids, or your child's classmates instead of the traditional paper Valentines. 3. 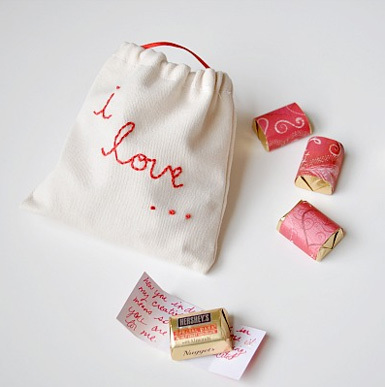 Chocolate Love Notes - Fill a hand-stitched muslin bag with chocolates and hand written notes on all of the little things you love about the person you're giving it to! 4. 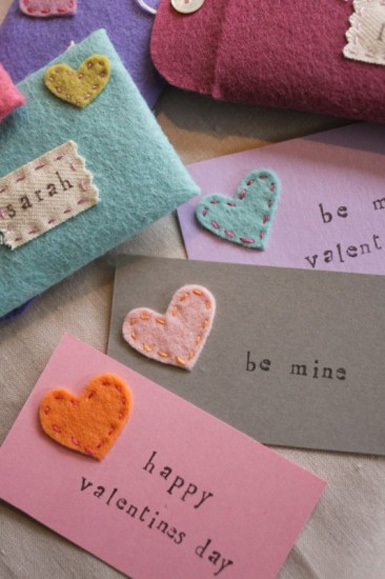 Tiny Valentine Matchboxes - I love this idea! 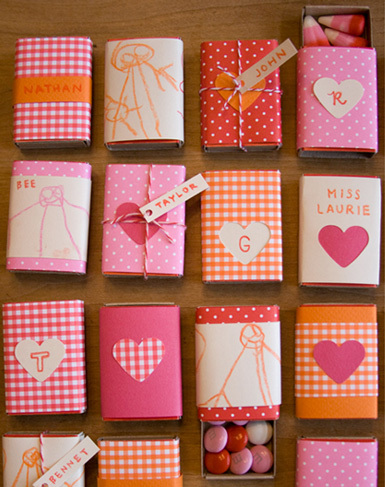 Purchase a bunch of matchboxes, empty the matches and wrap with fun paper, string, stickers, etc., and fill with candy! A great Valentine idea for your child's classmates. 5. 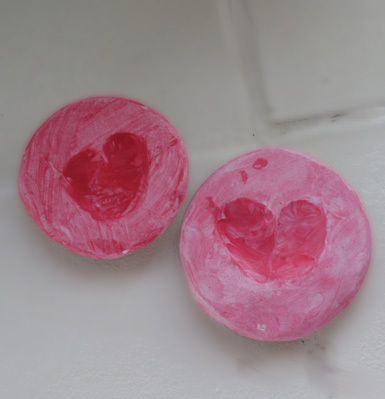 Thumbprint Heart Magnets - These make the perfect gift for grandparents! I'm totally doing this with Luke for my parents and in-laws. Tiny fingerprints to make the shape of a heart = priceless! 6. 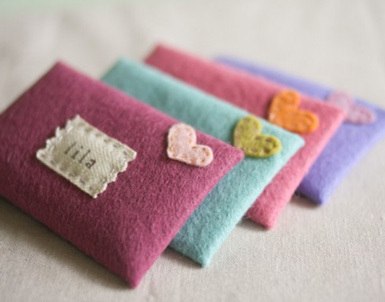 Tiny Felt Envelopes with Mini Valentines - This is a really sweet idea that would be fun to give your best girlfriends / mom / sister...it could also hold a gift card to Starbucks, which is a great gift idea for V-Day! 7. 100 Hearts Garland - The idea behind this heart garland, created by EJ from Toddler Approved, was to cut out 100 felt hearts and every night after dinner have each person in the family share what type or service or kindness they did that day, then add a heart to the string. Isn't that a fabulous idea?! These are all so cute! The heart mason jar is adorable! I love all of these! I especially like the first one- so simple,but so cute! 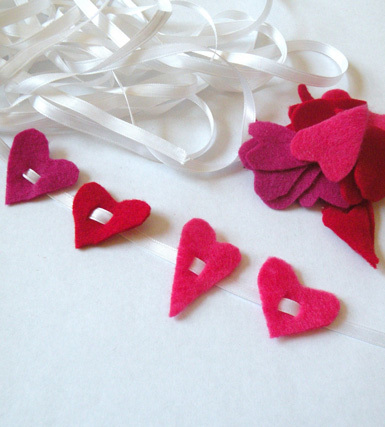 I have some Valentine diys at my blog, too! Great inspiring projects... this will be a crafty weekend!